Red Bull Racing will replace Daniil Kvyat with Max Verstappen from Torro Rosso as Daniel Ricciardo’s teammate starting with the Spanish Grand Prix next weekend, the team announced today. After what happened at the Chinese Grand Prix, Kvyat ran into some serious trouble again with Ferrari’s Sebastian Vettel at the Russian Grand Prix, effectively ending Vettel’s race at the third corner. Vettel went to have a talk about that with Red Bull Team Principal (and former boss) Christian Horner. 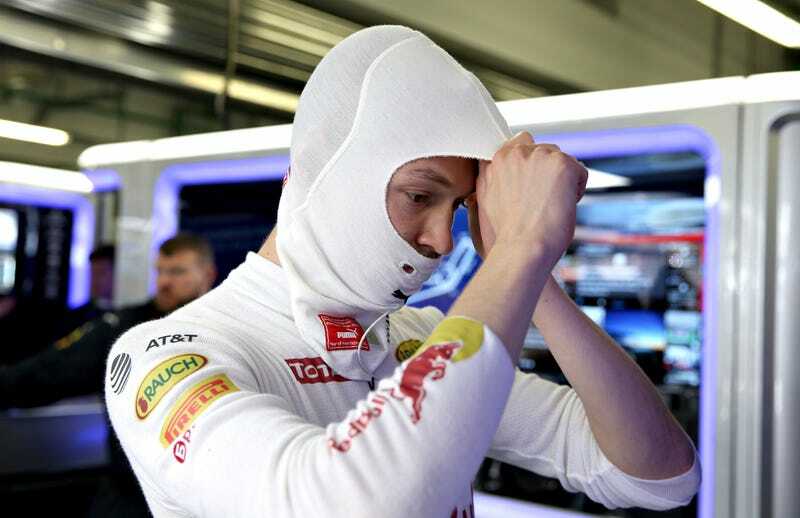 Kvyat tried to blame the accident on his brakes locking up, saying they’ll learn from it. Max has proven to be an outstanding young talent. His performance at Toro Rosso has been impressive so far and we are pleased to give him the opportunity to drive for Red Bull Racing. We are in the unique position to have all four drivers across Red Bull Racing and Toro Rosso under long term contracts with Red Bull, so we have the flexibility to move them between the two teams. Dany will be able to continue his development at Toro Rosso, in a team that he is familiar with, giving him the chance to regain his form and show his potential. Kvyat is currently eights at the championship with 21 points, while Verstappen managed to score 13 points with his Torro Rosso. That makes him tenth before the circus gets loud in Spain.